“Don’t imagine that always brave translates to never afraid.” I love this! Sometimes being brave is the scariest thing to be. Right!!!! Lisa Bevere’s book is just amazing! Here from ICLW – Courage is my favorite word (hence, the title of my blog)! I will have to look up your book recommendation. I also recommend you look into Brene Brown’s book The Gifts of Imperfection. She talks a lot about being brave and scared at the same time. Well hello there! Thank you so much for the book recommendation I will absolutely check it out. ok, this is my sign. What a great reminder just to know that he is ALWAYS with us and to lean on Him and Trust in him. And you even have a homework assignment. Love it! I wish I had my Bible with me at work, that would be worth spending my lunch hour looking up the rest of the verses. Oh I am so happy this resonated with you! It is something that He has been whispering to me for a while. I pray He continues to whishper to you as well and as you pour over those verse you find one that speaks to you. And when you do treasure it on your heart forever! Hi From ICLW! What a beautiful post and something that I really needed to hear today! Thank you for sharing! I’m so happy you found something encouraging right when you needed it! Have a blessed day! Yes Yes! 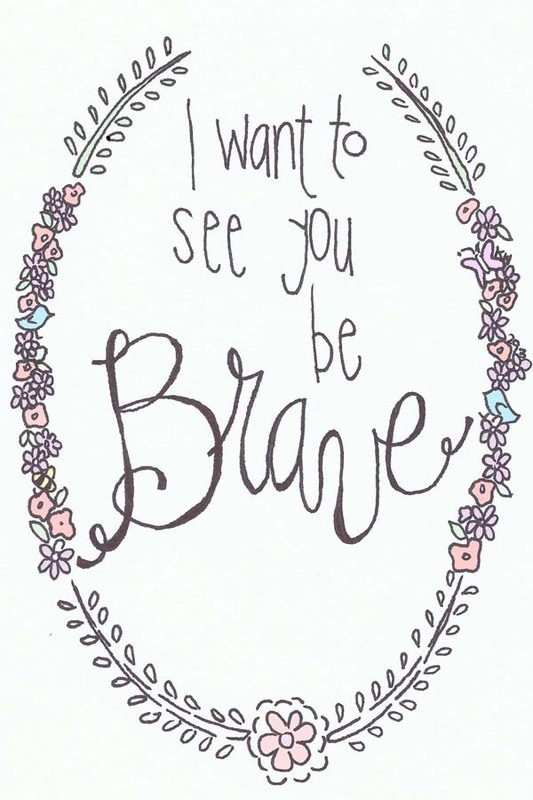 Have you heard You Make Me Brave by Bethel? You will LOVE it! Oh my goodness YES!!!!! I swear its my anthem for the year. I listen to it as loud as possible almost every day! And I’m always recommending it to anyone who needs so good music to listen to.